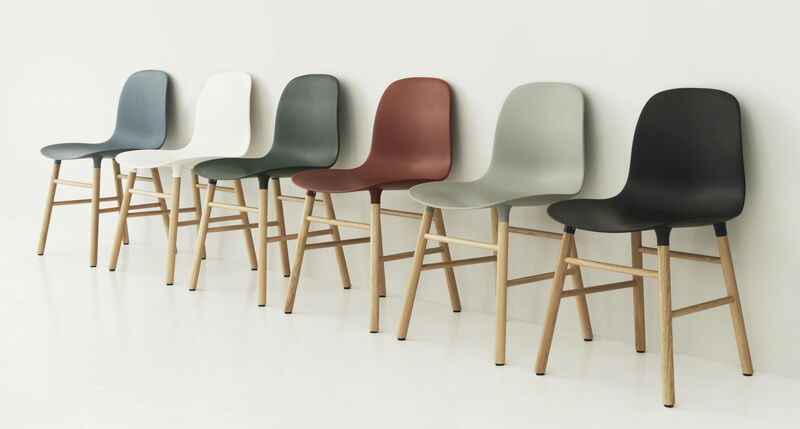 With the misson of creating a shell chair with a more unified look that would stand as one cohesive unit, Simon Legald has created the Form Chair for Normann Copenhagen. To achieve this seamless, integrated look, a new and innovative solution for gathering the seat with the legs has been developed. 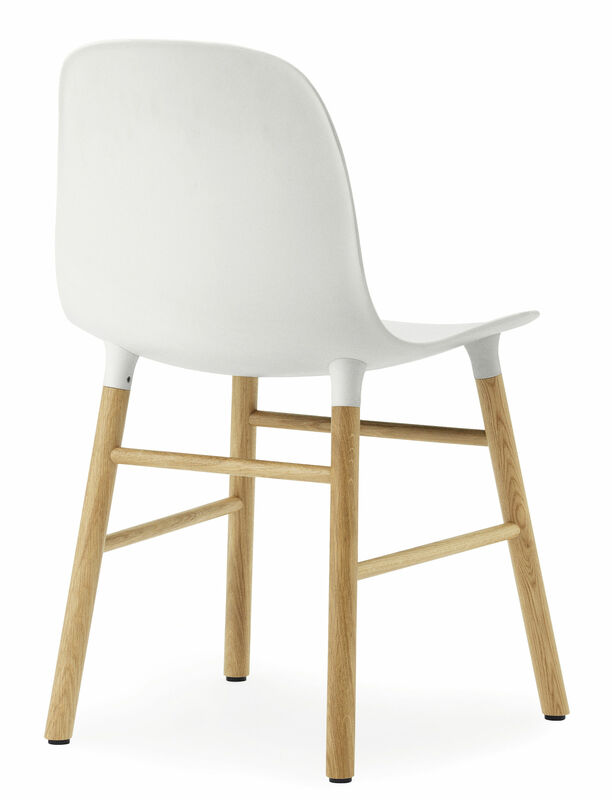 The molded plastic seat and frame of oak, walnut or steel are naturally integrated with the seat using a unique cup system. 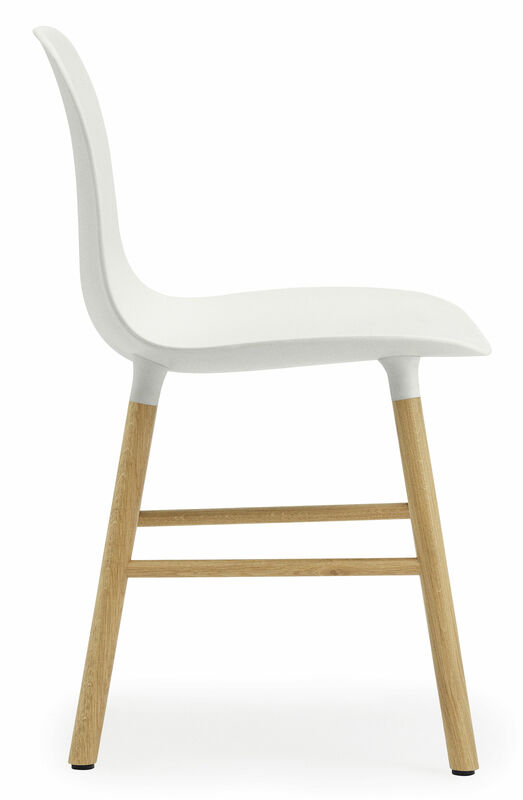 The plastic seat and wood or steel legs meet elegantly, accentuating the high quality craftsmanship of the design. 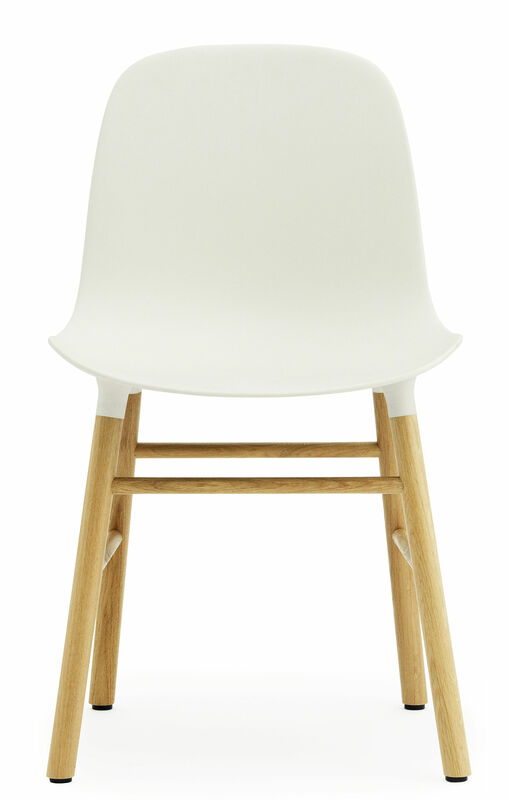 Form is an armless modern chair with a minimalistic expression. 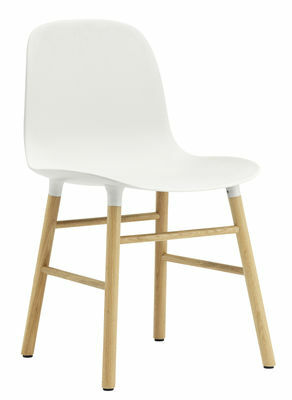 With a simple and contemporary design Form Chair has a soft and welcoming silhouette and a distinctly residential look. The legs appear almost as if they are growing out of the shell. 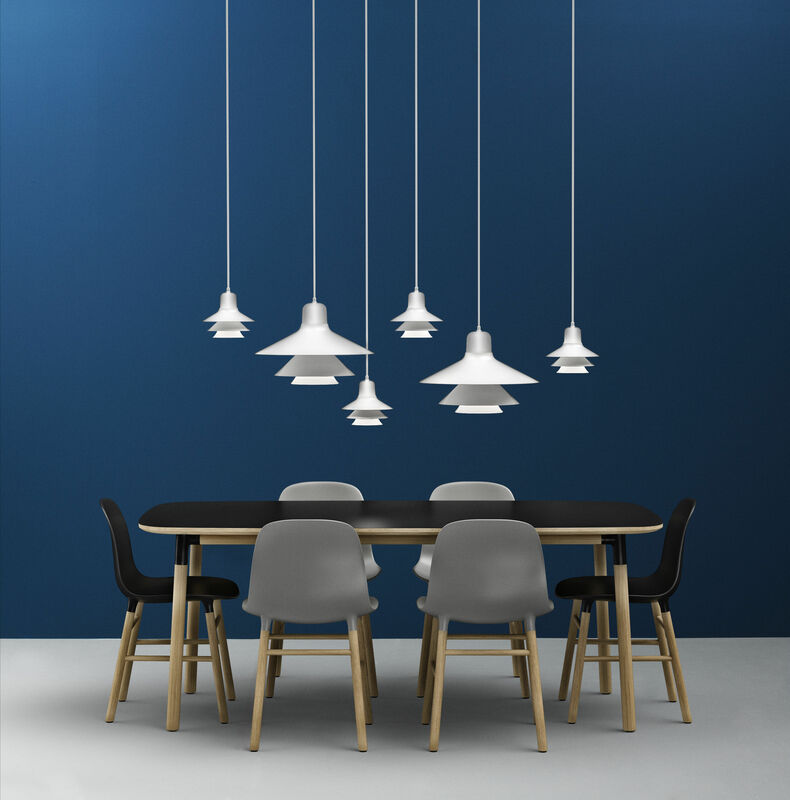 This gives the design flexibility and makes it possible to vary the frame in a great number of ways, accommodating a vast number of interiors. 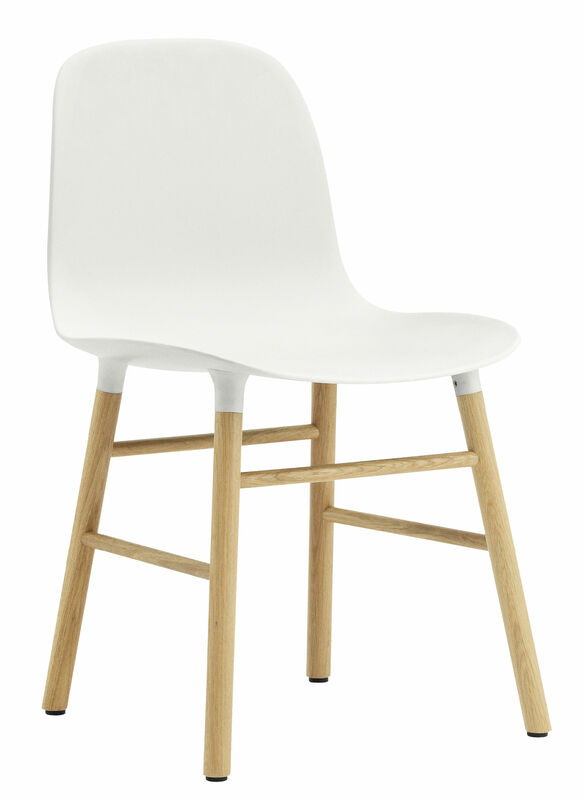 The Form Chairs have great back support and provide freedom of movement. The strong materials and contoured shape ensures a comfortable seating experience. 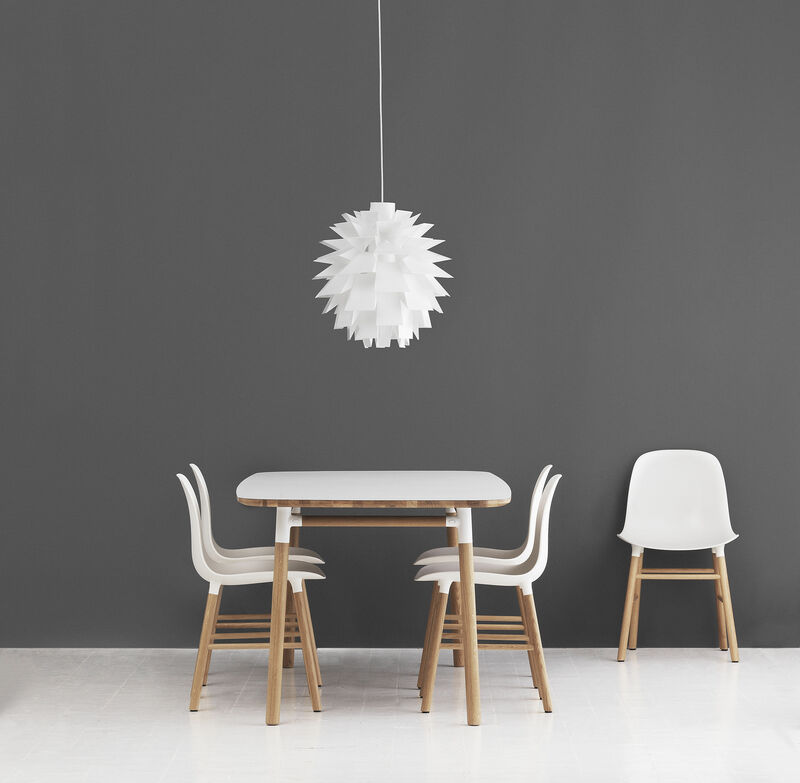 Combined with a clean design that makes Form a flexible and functional chair for any room as an office chair, a dining chair or occasional chair. WARNING. Not suitable for professional use.